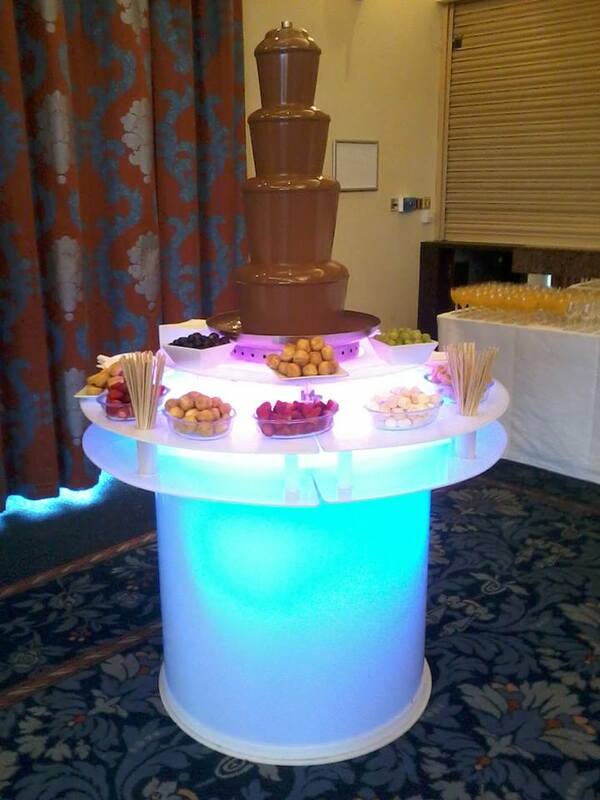 Looking for that extra wow factor? 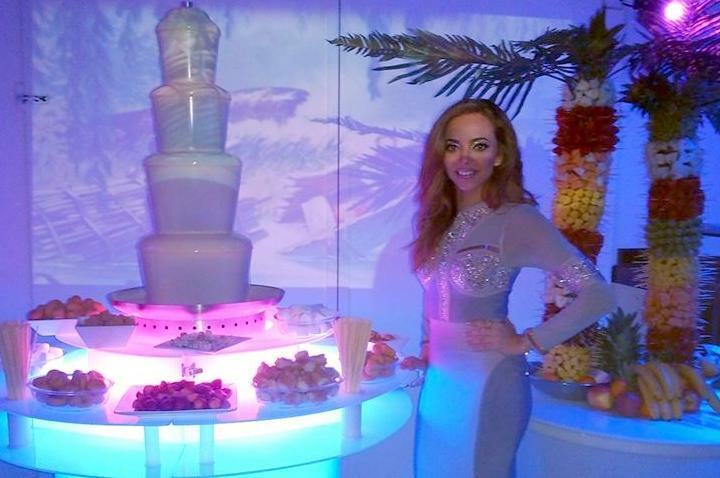 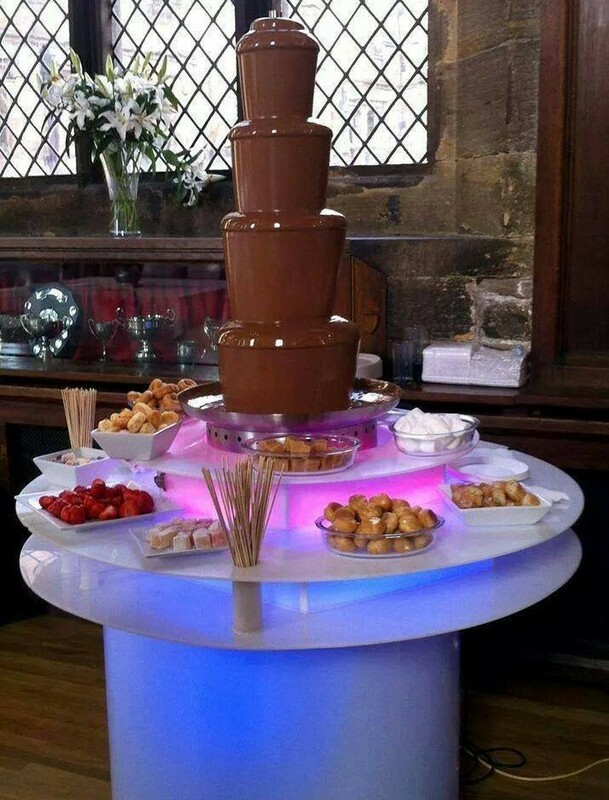 If you’re planning a Special Event, Sparkles can supply our beautiful Chocolate Fountain, complete on its very own illuminated table bringing the WOW factor to your Party or Special Event. 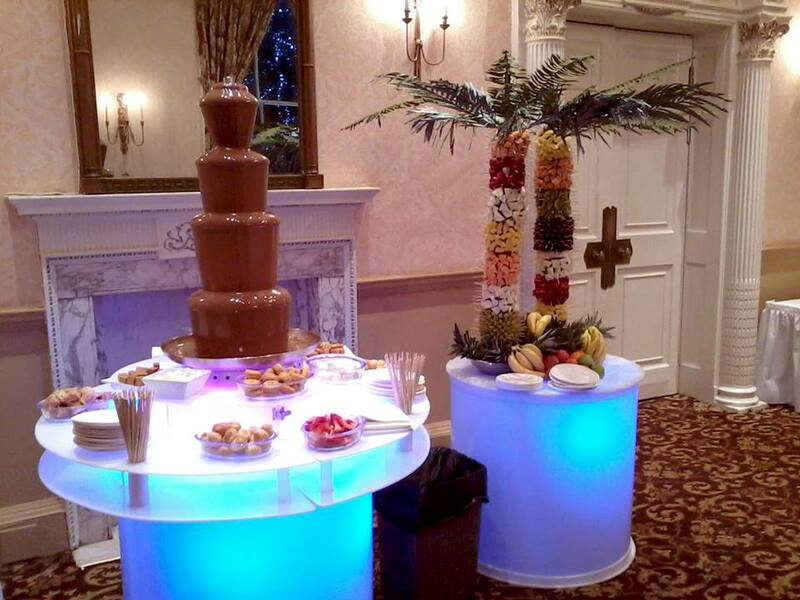 We only use 100% Callebaut Belgian Chocolate and the finest dipping items. 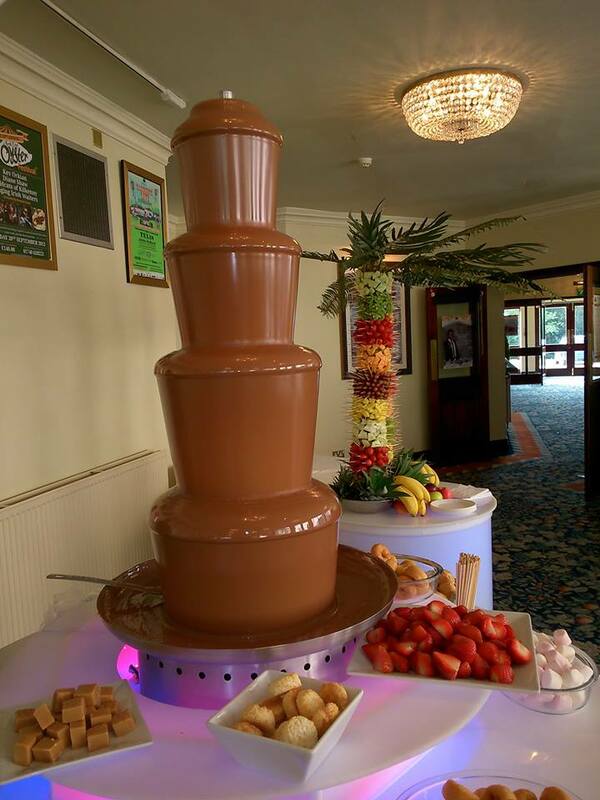 Each Fountain will also be manned by a member of staff to ensure your guests have a great experience. 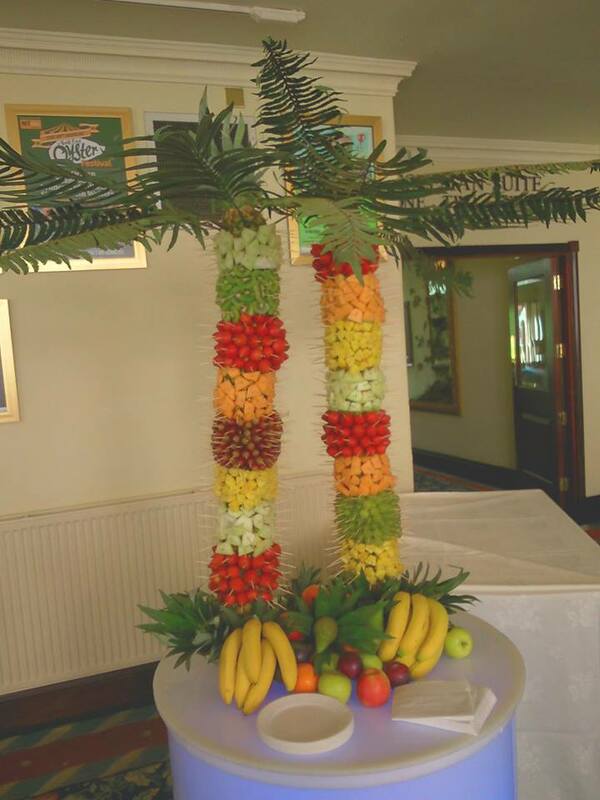 Why not add that extra stunning something and add our matching Fruit Palm Trees. 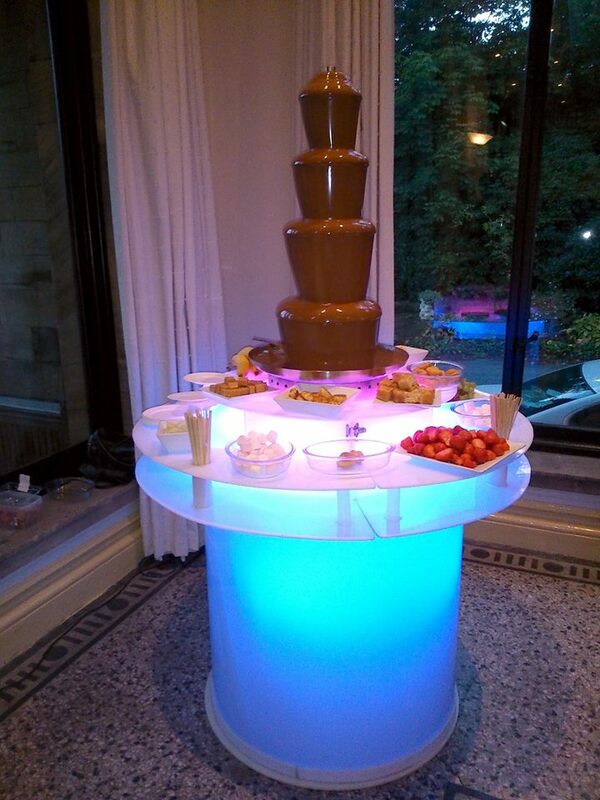 Special rates are available if booked together. 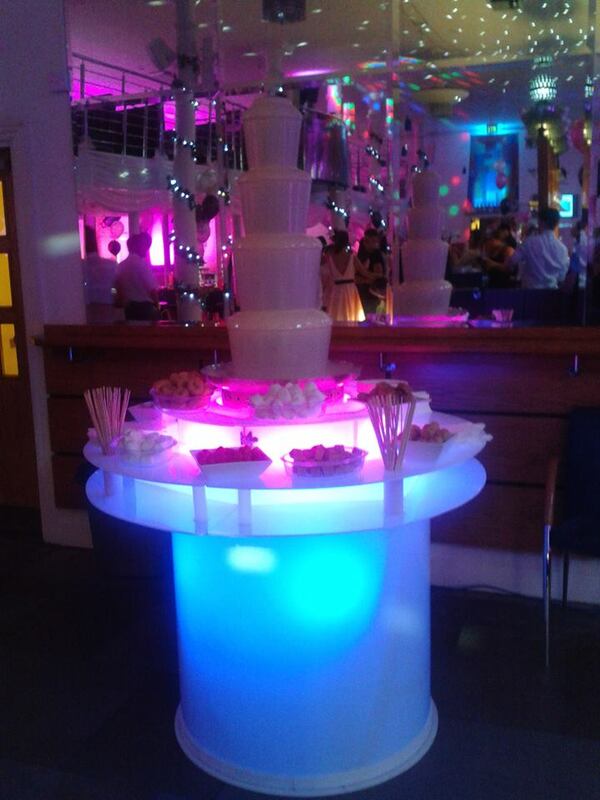 Please give us a call on 0191 340 6624 to discuss how we can help you make your event extra special.